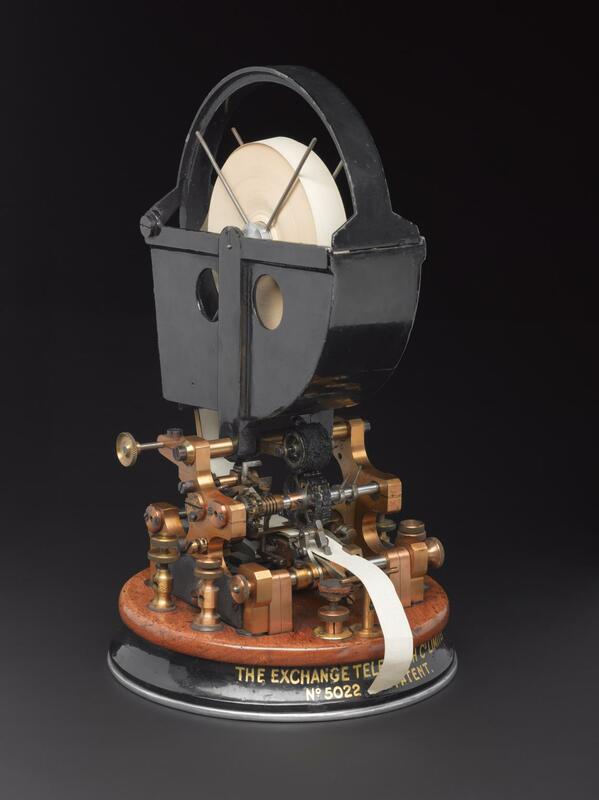 Stock Exchange printing telegraph, made by the Exchange Telegraph Company, England, 1907. 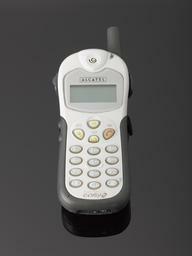 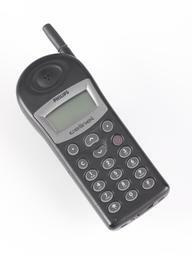 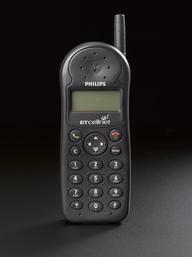 Comprises transmitter unit, two receiver uniits or tickers, one power pack, and cover. 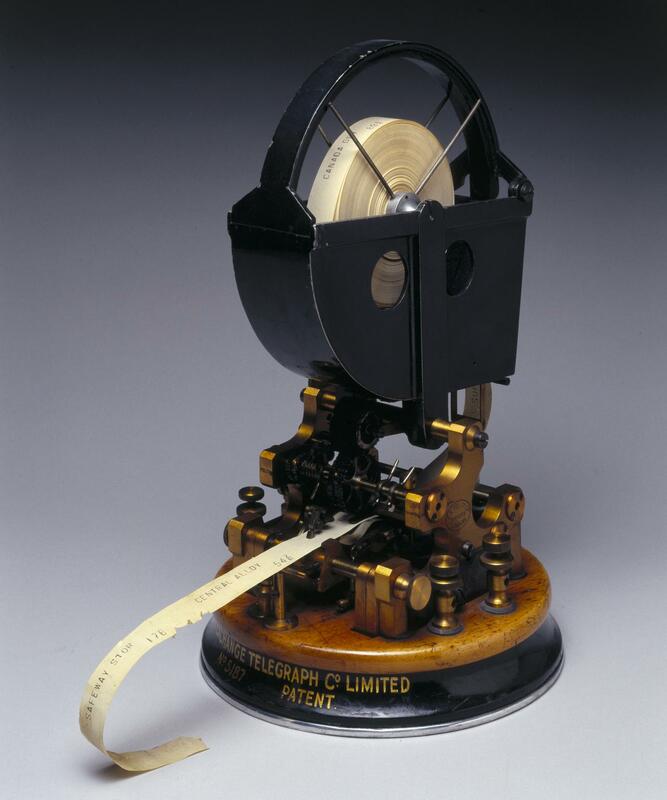 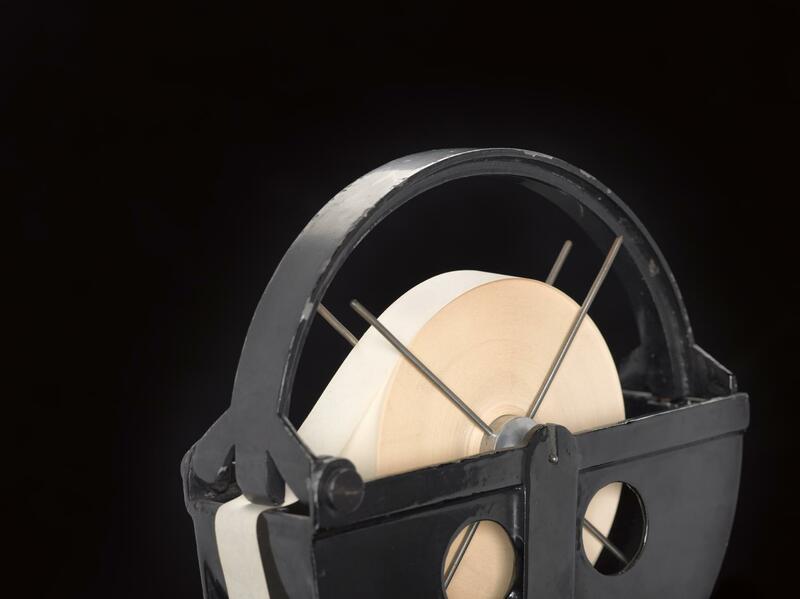 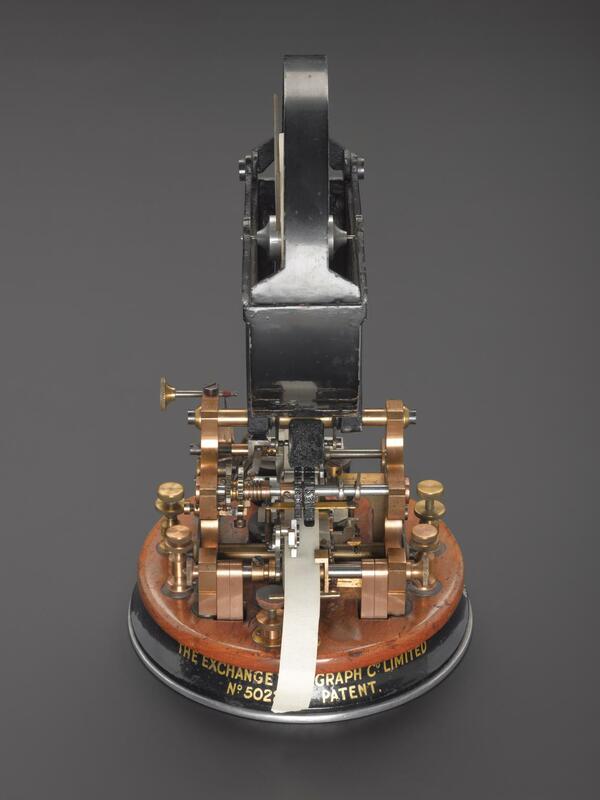 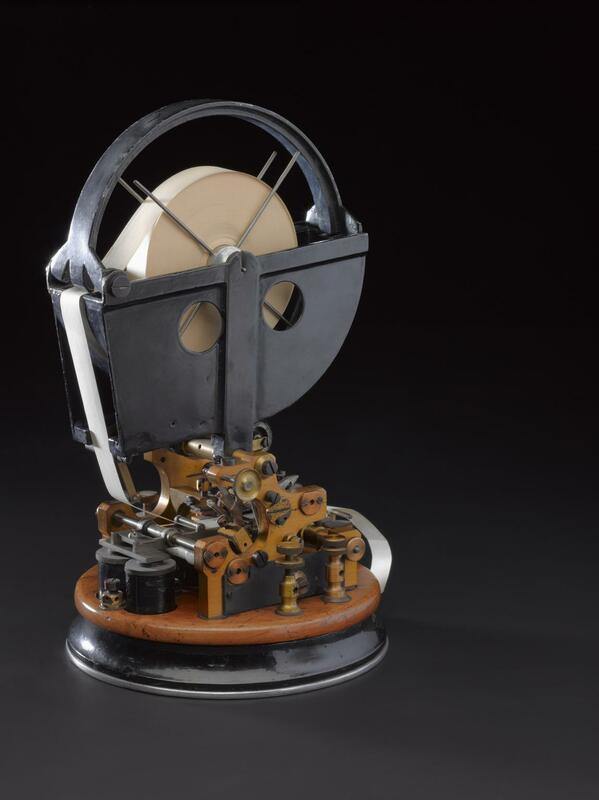 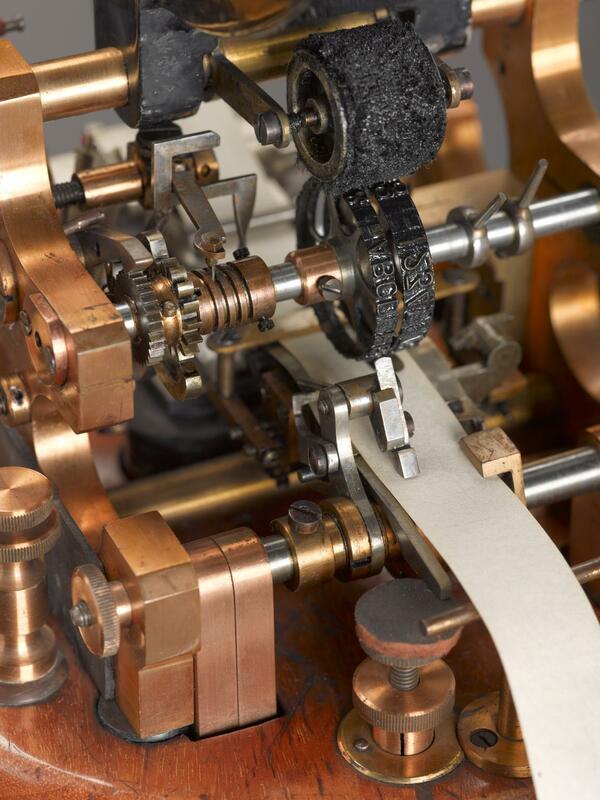 A system of printing telegraphs was first installed at the London Stock Exchange in 1872 to help stockbrokers, newspapers, and other subscribers informed as to changes in stock market prices. 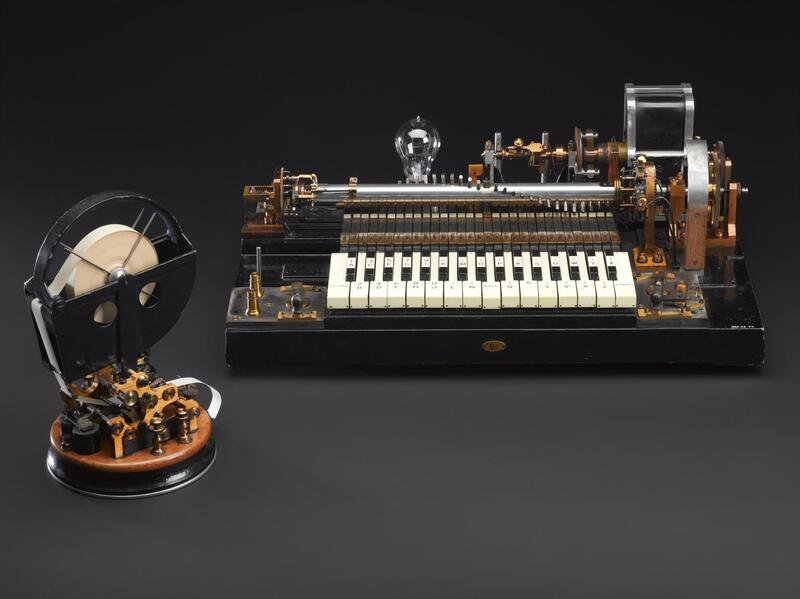 The instruments used were the invention of Thomas Edison and could operate at a rate of about six words per minute. 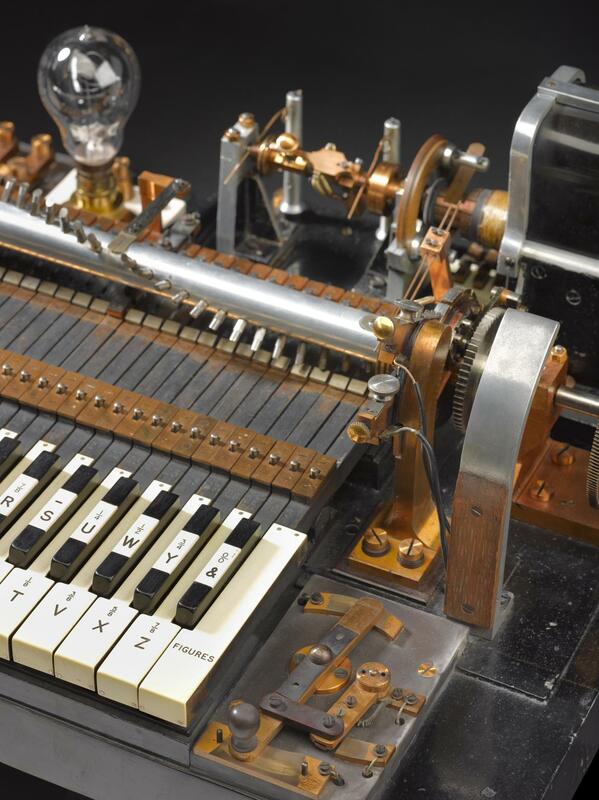 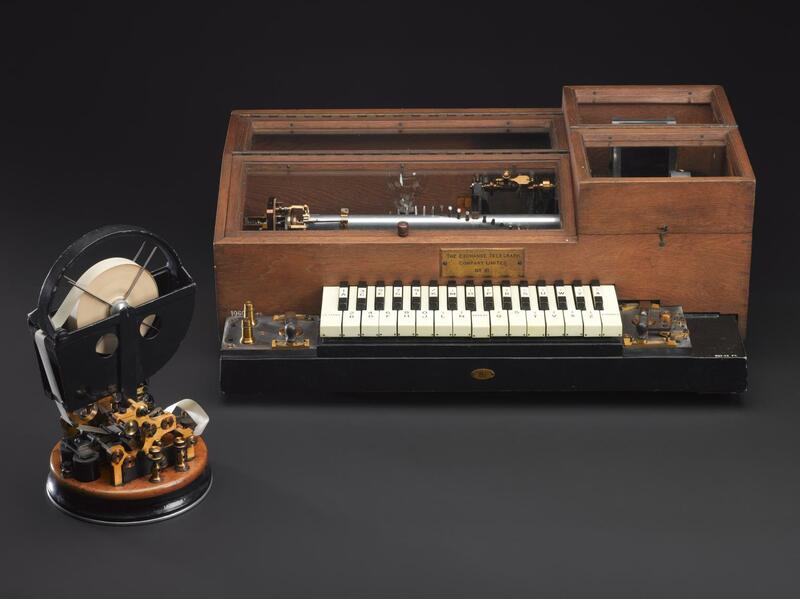 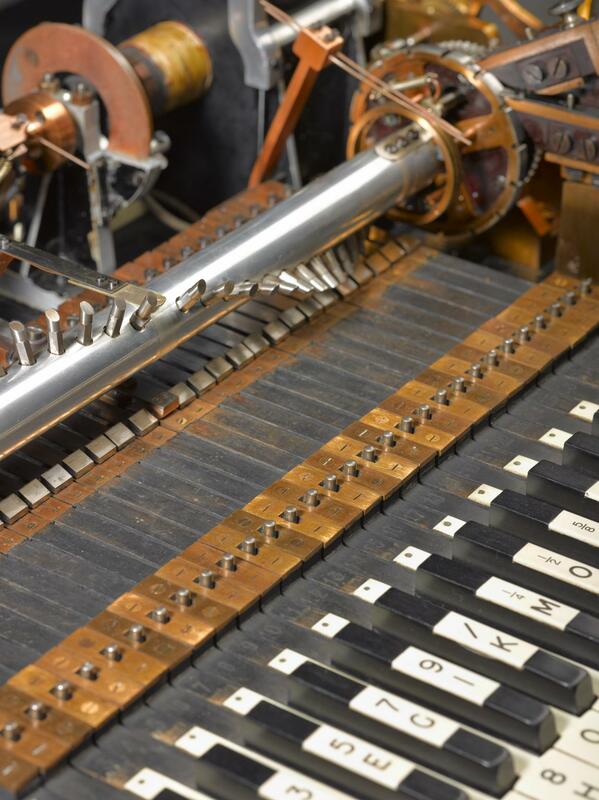 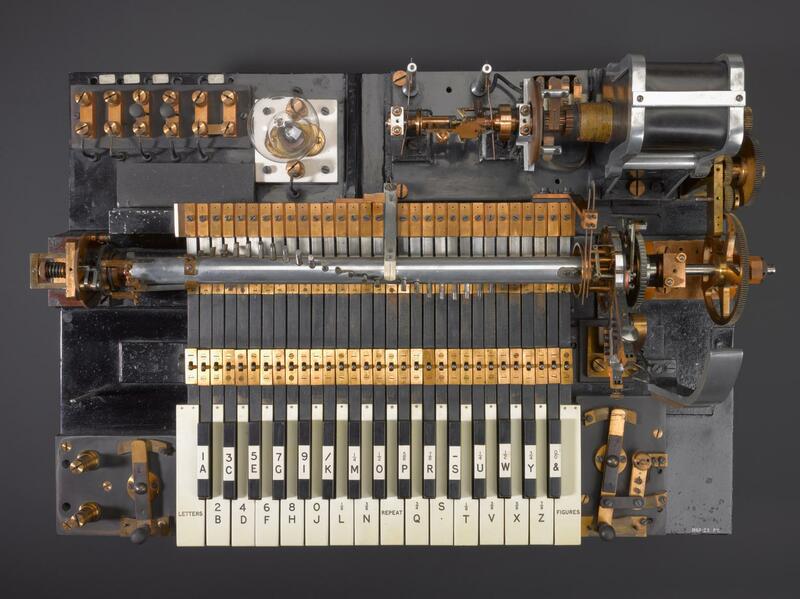 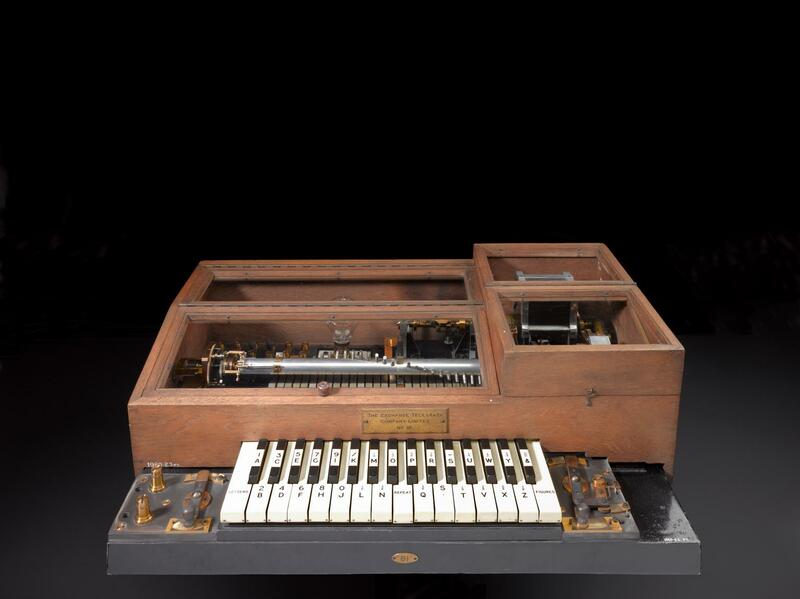 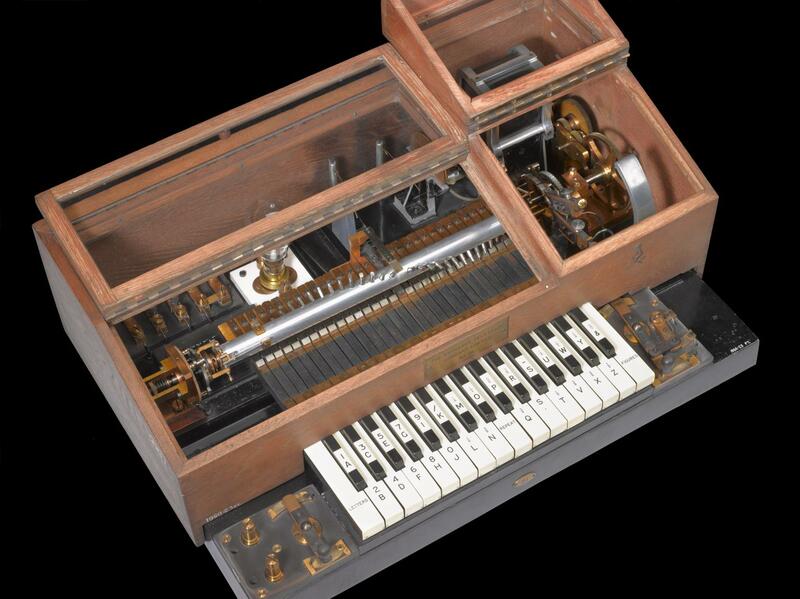 Various improvements were made by Davies and Higgins during the succeeding thirty years: the keyboard transmitter was introduced in 1873, an electric drive and governor were added in 1880, and a redesigned receiver operating at higher speeds in 1902. 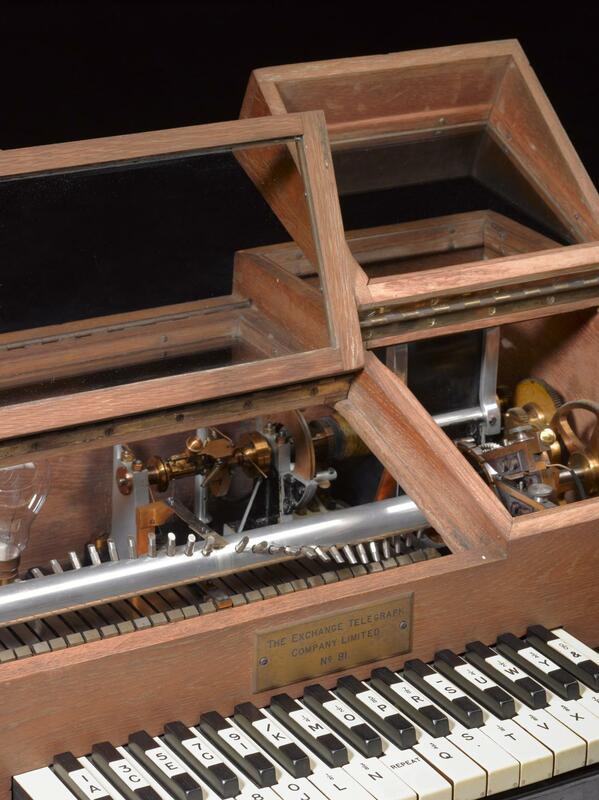 The apparatus shown here was taken into use on the Stock Exchange in 1907, with 420 receivers being operated from the transmitter in the Stock Exchange Building. 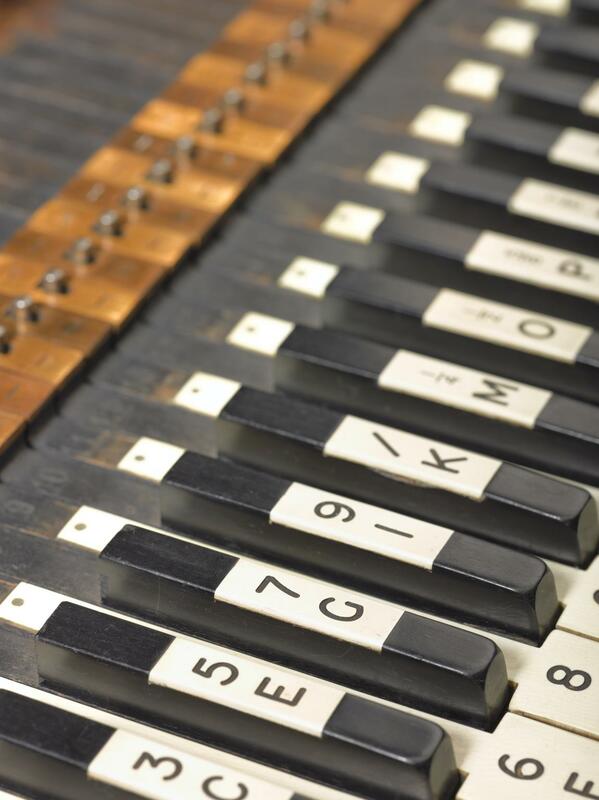 The system remained in operation until June 1959 when the instruments were replaced by Creed teleprinters.